Only $50 to take the Challenge!!! Actors show up for a "mock" audition. They sign in next to their assigned audition time, grab the script, and look over the specs/directions. Then, the actors will be called in one at a time at their assigned times. While everyone waits for their assigned audition time, they should be working on the script. There will also be a "Celebrity Guest Judge" waiting in the lobby with them. While you're waiting, this is your chance to chat with the Guest Celebrity Judge and enjoy a slice of pizza and a nice cold beer (Yes, beer and pizza will be served). Once everyone has finished auditioning, we will all assemble in the back room and listen to the auditions. At that time, the actors get to vote via secret ballot whom they think should book the job. The winner will receive a prize. Then the VO Doc chooses whom he thinks would have booked the spot. That person receives a prize as well. 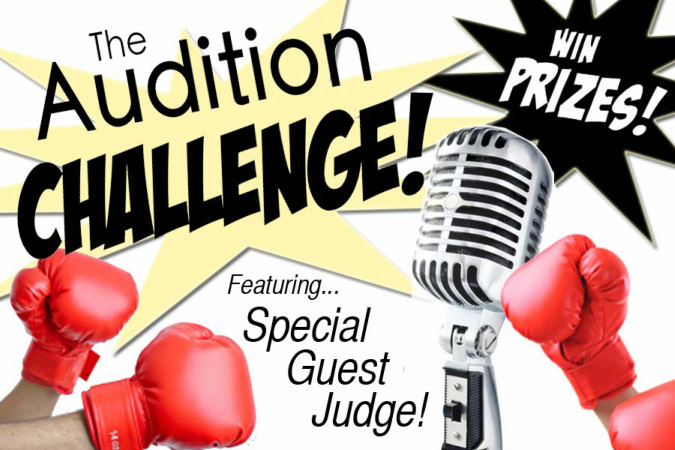 Lastly, the celebrity judge will pick whom they think booked the job, and that person wins the grand prize of the night. The idea of the workshop is to point out that casting is random, and also to give the actor a good idea of whether his/her reads are competitive (i.e. the audition process). Then we all laugh, and everyone leaves!